By Jeff Bulmer - Phoenix Alumni · February 11th, 2019 at 4:53 p.m.
Two awards decades in the making. With a career spanning over 50 years and even more movies, including such classics as “Butch Cassidy and the Sundance Kid” and “We Were Soldiers,” Sam Elliott is one of Hollywood’s most recognizable actors. Elliot’s trademark drawl and tendency to be typecast as the Western insert for movies in need of a single-monologue mentor character (see “The Big Lebowski”) make him so distinctive that he defined an entire generation’s image of the archetypal cowboy, building on Clint Eastwood’s excellent foundation. Acting opposite Bradley Cooper, Elliot plays Bobby, the road manager, half-brother, and father figure to main character Jackson Maine. Bobby is the movie’s voice of reason, constantly trying to reign in Jackson’s drug use, alcoholism, and general erratic behaviour. He’s also, at times, a villain, as he tries to live out his own dreams through controlling his brother’s music career. Most notably, Bobby is the most vocal critic when Jackson first decides to bring in Ally (Lady Gaga) partway through a tour. What at first seems unlike the conveniently-timed, wizened bar patron Elliot has so often played is actually a natural evolution of the mentor character he’s most famous for. More than just the voice of reason, Bobby Maine is the heart of “A Star is Born.” Rarely driving the main plot forward, Bobby instead serves as council to each of the main characters, and offers convenient, poignant opinions during each of the main plot points. Of course, as a major character in this movie, Bobby’s advice is rarely heeded by anyone, and Elliott is left to portray a character reduced to a cameo in the life of those important to him. Of course, Elliott does this beautifully; his relationship with Cooper and Lady Gaga’s characters is more believable and emotional than their relationship with each other, and they’re married. The list of actors who gave a better performance than Sam Elliott in 2018 is shorter than the current list of Academy Award nominees. After 50 years, it’s time to give Sam Elliott his Oscar. 2018 was a year full of movies tackling racism. 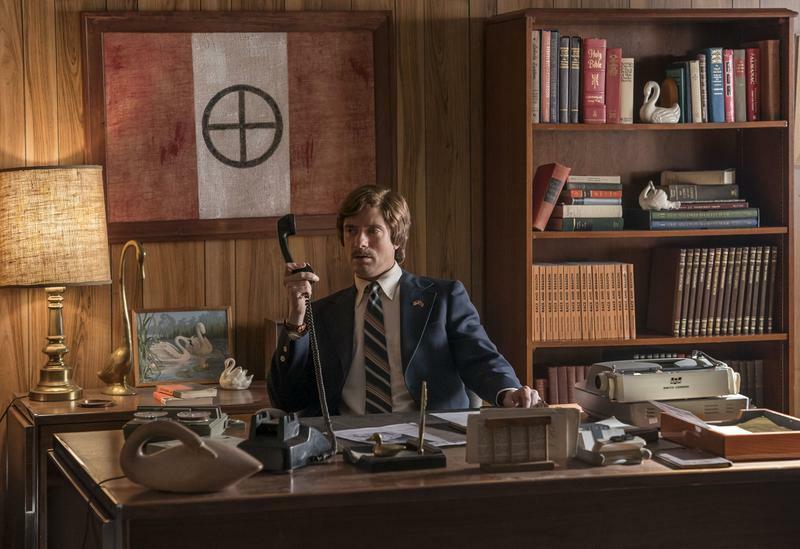 Of these, none was a more brutal takedown of racism in the USA, past and present, than Spike Lee’s “BlacKkKlansman.” But while “BlacKkKlansman” is in the list of Academy Award nominees in a few categories, notably absent is the movie’s most damning portrayal of all-American racism: Topher Grace as David Duke. Duke is a charismatic, silver-tongued good ol’ boy who uses his position as Grand Wizard to reform the Ku Klux Klan into a “respectable organisation.” He refers to the Klan as “The Organisation,” refuses to espouse blatant racism in public, and welcomes calls to his office to chat with prospective members. Grace’s portrayal of Duke is less a studied caricature than a version of someone every Midwesterner has met. He’s certainly not racist, he just knows what “those people” are like. The few times Duke loses his cool throughout the movie, the flashes of malice are quickly interrupted by outbursts of less composed, more obviously bigoted underlings. Duke is a dangerous man behind his friendly exterior, but the real danger lies in the command he has over his followers. Similar to this year’s other notable cult leader , Chris Hemsworth in “Bad Times at the El Royale,” Duke is a terrifying presence throughout the movie despite his short screen-time. In a list well-populated by movies tackling race relations, often even in cartoonish or overdone ways, it’s telling that the Academy decided to ignore this year’s most realistic portrayal of modern racism.